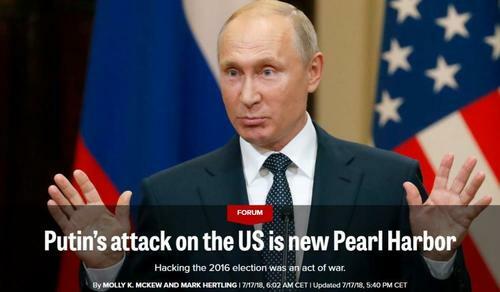 According to this report, this past July-2018, top officials in Moscow were left in anger and confusion after “Deep State” aligned Democrat Party socialist operatives in the United States launched a withering new attack absurdly claiming that Hillary Clinton’s election loss to President Trump was caused by Russia—that they claimed was “Our Pearl Harbor”, an event that occurred in 1941 when the Empire of Japan attacked America and threw them both into World War II. Though kept from the knowledge of the American people by their socialist mainstream propaganda media establishment about the absurdity of Russia having ever interfered in their 2016 presidential election, this report notes, both the “Deep State” and its Democrat Party socialist leaders were in full knowledge at the time of their lying “Pearl Harbor” accusation that former British spy Christopher Steele had already testified under oath in a London court confessing that Hillary Clinton had paid him millions-of-dollars to make up Trump-Russia collusion lies so she could use them to contest her election loss. Further being deliberately ignored by these socialist “Pearl Harbor” warmongers, this report continues, were the April-2018 findings made by the US House Intelligence Committee that proved there had been no collusion between Trump and Russia—findings that were confirmed as being true this past week by the powerful US Senate Intelligence Committee Chairman Richard Burr who, likewise, stated that no evidence of any collusion between Trump and Russia has ever existed. 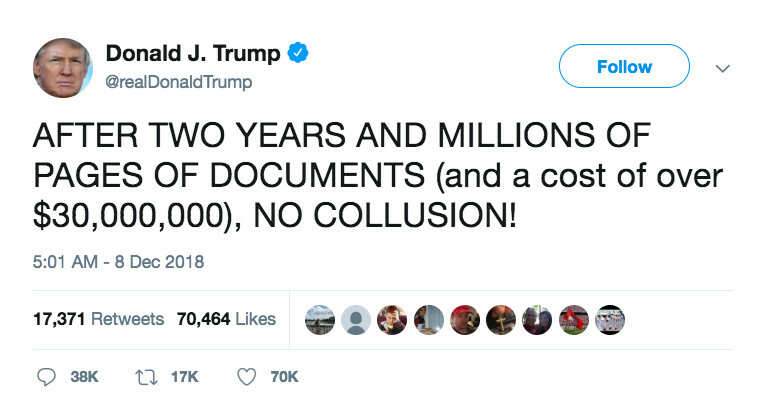 As to the true reason why the “Deep State”, their Democrat Party allies and the corrupt socialist mainstream propaganda media establishment continue to spout forth their ever hysterical Trump-Russia collusion lies, this report explains, is due to the growing and unstoppable truth proving that Hillary Clinton’s Democrat Party email hacking was an inside job having nothing whatsoever to do with Russia. That is now being joined, this report continues, with a mountain of accumulating evidence showing Hillary Clinton was the one who had actually colluded with corrupt Russian officials for years in order to enrich herself—and in whose effort to hide her crimes, saw her masterminding the plot to destroy Trump by paying Glenn Simpson of Fusion GPS to not only hire former British spy Christopher Steele, but have him, also, pay one of his Russian operatives to ensnare the Trump campaign into meeting with her at Trump Tower. And is a plot, this report notes, that now includes Democrat Party US Congress Intelligence Committee Chairman Adam Schiff, who has just been revealed to have conducted secret meetings with Glenn Simpson at a Colorado ski resort—but whose top 25 “Deep State” co-conspiratorsin the US Department of Justice and FBI, have already either been fired, demoted or forced to resign by President Trump—and one of whose wives, named Nellie Ohr (wife of top demoted Department of Justice official Bruce Ohr), has now “connected all the dots” of Clinton-Russian-Ukraine collusion leading from the Democrat Party right to the very door of Special Counsel Robert Muller. 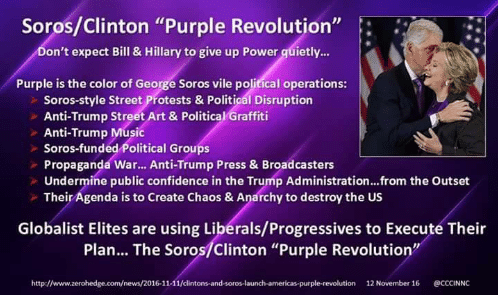 While fearfully watching all of their made up Trump-Russia collusion lies being exposed one after another, this report further notes, the “Deep State” aligned Democrat Party has rapidly shifted their destruction tactics against President Trump to include their pummeling him over his nation’s southern border crisis—that in the past few days has seen the Democrat Party governors of both California and New Mexico ordering their state’s National Guard troops to be removed from the US-Mexico border because of the Trump administration’s “manufactured crisis”. Coinciding with these vitally needed National Guard troops protecting the US-Mexico border being removed, this report continues, the Democrat Party leaders in the US Congress have, also, brought talks over a southern border wall to avert another US government shutdown to the brink of collapse—most particularly due to their only proposal is to make the entire United States a sanctuary nation for illegal aliens. As to what the United States is facing, though, should a US-Mexico border wall not be built, this report states, the highly respected Gallop Poll organization is now warning is going to be a 42 million strong unstoppable horde of illegal aliens who are watching to see what happens next—and whose numbers already flooding into the US are now on pace for worst year since the massive wall-building spree in 2007—and because of, just yesterday, saw US border officials having to form a miles long barrier of hundreds of police vehicles to keep their southern border from being completely overrun—which is the exact opposite of a “manufactured crisis” these vile socialist Democrats claim—and is why President Trump, whose US border forces are already undermanned by nearly 2,000 agents, is now reported to be leaning towards declaring a “state of emergency” before his nation ceases to exist. 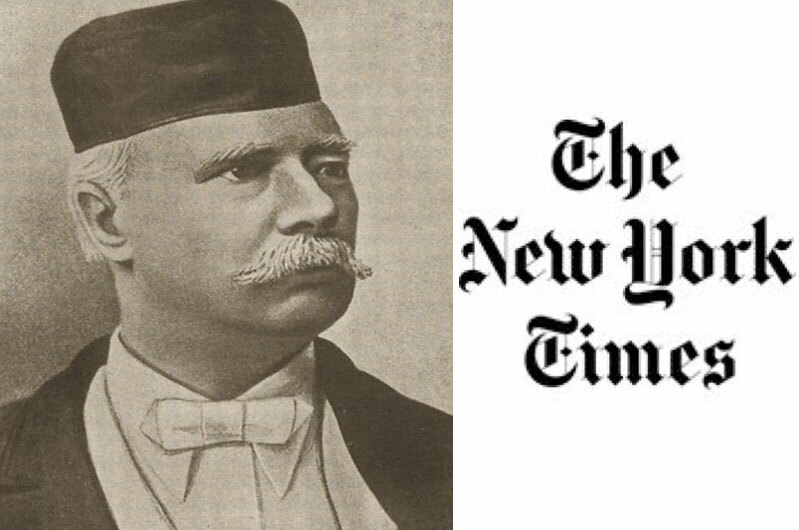 Not being understood by the American people as to why the “Deep State” aligned Democrat Party is forcing President Trump towards declaring a national “state of emergency”, this report concludes, is that these socialist maniacs intend to use it as their center piece to bring impeachment charges against him now that their Trump-Russia collusion lies have all now been exposed—with it further being unknown to these people that the groundwork for this illegal impeachment is being laid out in the Democrat Party controlled US House of Representatives at this very moment—one of whose most laughable charges claims Trump has enriched himself while being president, which stands in sharp contrast to the fact that Trump has lost $1 billion in personal wealth since running for president—but are facts not needed as all Democrat Party leaders have been ordered by multi-billionaire Tom Steyer to either impeach Trump or he’ll spend billions-of-dollars to throw all of them out of power—the most catastrophic result of, if these socialist monsters have their way, Democrat Party Senator Warren alluded to by her stating that Trump may not even be a free person in 2020—but that could only happen if these socialists flooded America with hundreds-of-thousands of radical leftist rioters whom they wouldn’t recall unless Trump was impeached and he and his entire family imprisoned—that’s known as a “Colour Revolution” used by globalist-socialist forces to overthrow nationalist governments standing in their way—but as it concerns the heavily nuclear armed United States, will see it being attacked by Russia long before these socialist monsters are able to turn their bloodlust on them. 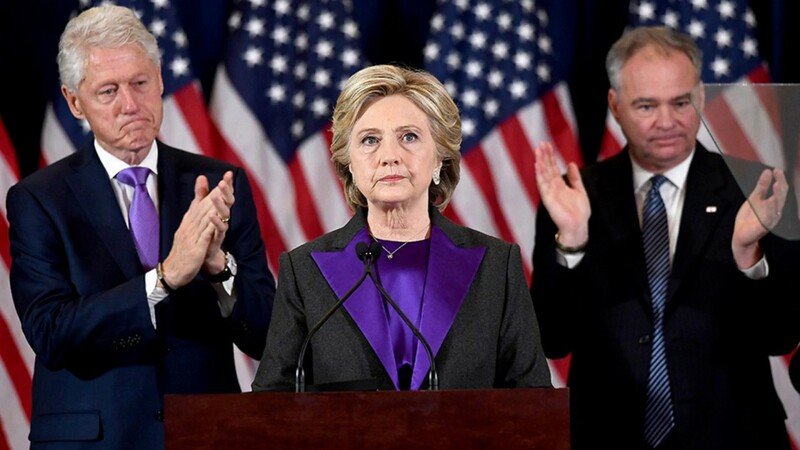 You can never say you weren’t warned, as you were told about the significance in the colour Hillary Clinton and her husband were wearing when she non-conceded her loss to President Trump. February 11, 2019 © EU and US all rights reserved. Permission to use this report in its entirety is granted under the condition it is linked back to its original source at WhatDoesItMean.Com. Freebase content licensed under CC-BY and GFDL.